The perfect storm for #OldLaw? 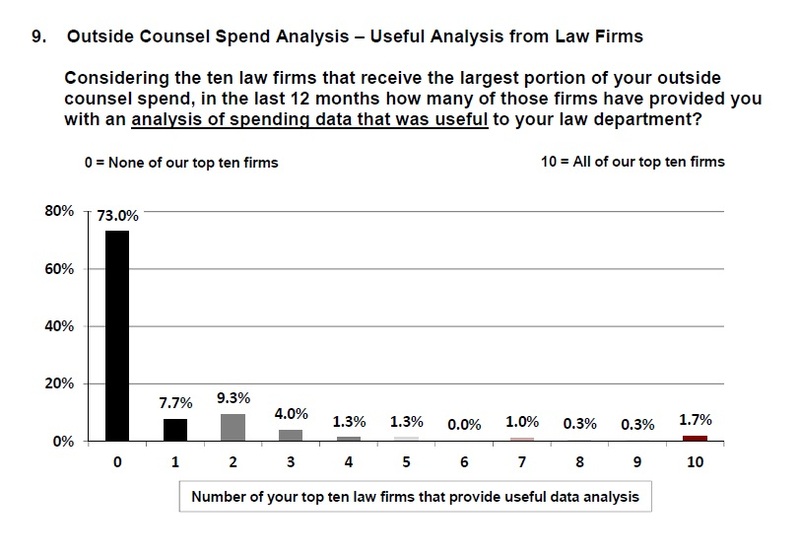 In my last post I mentioned that I may post some further thought I had on this year’s Altman Weil Chief Legal Officer Survey. One further comment on the Survey findings I did want to make relates to what I consider to be ‘the perfect storm’ brewing for the so-called #OldLaw or Traditional Law firm model. QUESTION: What are the chances you’ll be spending more money with me – your outside counsel – in the medium to long-term? ANSWER: Not an awful lot! QUESTION: If you are not giving me – your outside counsel – the work, then who are you giving it to (ie, who is my main competitor)? QUESTION: When you do give me work, what are the chances that you are going to ask me for a discount? 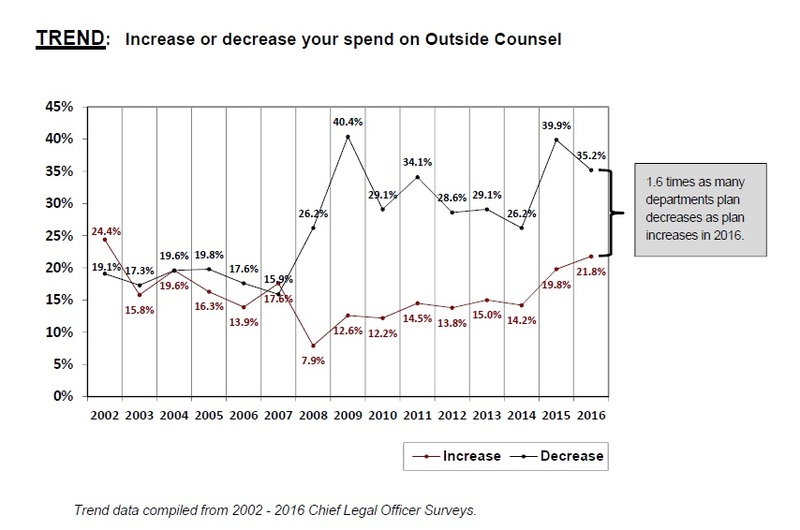 Have to say, reading these three charts I’m left with the feeling that outside counsel are in for a very rough ride unless they are 100% focussed on what they want to do, and who they want to do it for!